The ECI-42 is an Electronically commutated DC electric motor, with a requirement of 45 - 90 W and 24 - 48 V. It is suitable for an array of applications like automation, packaging technology and laboratory and medical technology. This 42-mm diameter drive supplements on applications that needs low power and small torque amount. The stator lengths of the internal rotor motor can be 20 and 40 mm. It has a rotor position indicator with three Hall-effect sensors is installed into the motor's printed circuit board. The device is equipped for operations with external, even customised, electronics, and has a drive energy output via an 8 mm thick shaft. The ball bearings of the gearbox modules are designed for higher radial loads on the gearbox output shaft. 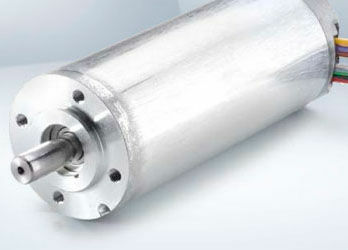 This makes it suited for applications with pre-tension, such as belt drives.